Tony Abbott had a close association with B. A. Santamaria and personifies church ties with politics through his relationship with the man he has called his confessor, Cardinal Pell. 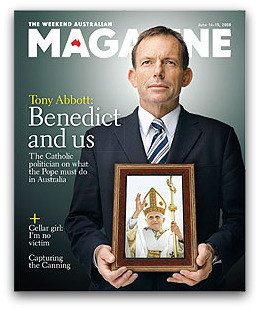 The question is whether Abbott is a one-off or represents a larger group of Catholic Liberals. Some Protestants question whether Catholics are Christians. Some Catholics say there is no salvation outside their Church. Identifiying the essentials of Christianity matters in today's post-Christian society, where young Westerners are bored with Christianity and they feel that they have moved beyond it. Progressive Christian activist Jim Wallis is one of Barack Obama's key advisors on religious and ethical issues. He has been a key proponent of Obama's controversial health care reform legislation, which has raised the ire of some conservative Christians. 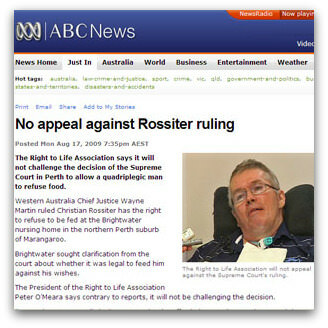 Last week a Supreme Court judge gave a sensible decision regarding the case of a quadriplegic man who wants his carers to discontinue feeding him. 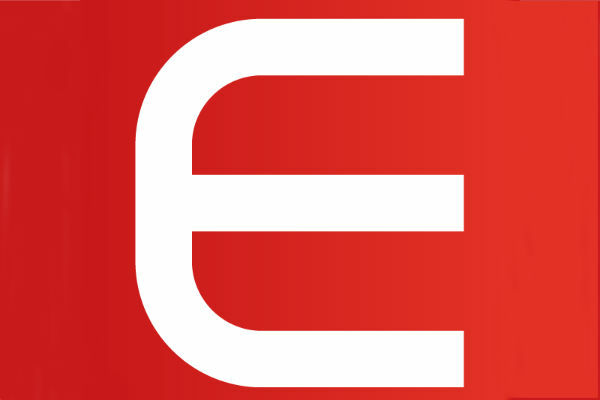 'Right to life' and 'right to die' advocates have had a field day. You'd think they had not read the judgment. This week's release of the new social encyclical Caritas in Veritate expands moral teaching to promote a concept of 'human ecology' that covers both human life and the environment. 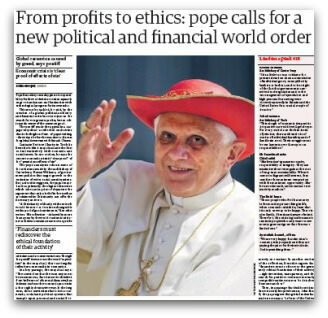 It would seem that Benedict is not a climate change sceptic.